The fastest drying whiteboard paint on the market. Boost meeting engagement and effectiveness 10X within 48hrs of installing ReMARKable Whiteboard Paint. chose ReMARKable, hands down, the highest quality, 10-Year warranty backed, MOST AFFORDABLE Dry Erase Paint. Boost meeting engagement and effectiveness 10Xwithin 48hrs of installing ReMARKable Whiteboard Paint. Many smart organizations like chose ReMARKable, hands down, the highest quality, 10-Year warranty backed, MOST AFFORDABLE Dry Erase Paint. These whiteboard paint kits are perfect for businesses, conference rooms, coworking spaces, retail and coffee shops, classrooms, kitchens, kids rooms, home offices, crossfit boxes, gyms and more that are looking for the traditional whiteboard smooth white background look. We recommend applying ReMARKable white dry erase paint over top of our ReMARKable base paint that you would apply to the surface first. These whiteboard paint kits are perfect for businesses, conference rooms, coworking spaces, retail and coffee shops, classrooms, kitchens, kids rooms, home offices, crossfit boxes, gyms and more that are looking for the something more unique with a colored background look. ReMARKable’s clear dry erase paint applies over top of the background color paint that you apply beforehand. Watch the video to learn more about how ReMARKable dry erase paint measures up to the competition… Rustoleum and IdeaPaint. ReMARKable is made with the utmost quality & ingredients! ReMARKable is a water borne product that is 100% environmentally responsible! For the fastest dry time in the entire whiteboard paint marketplace, look no further than ReMARKable. Most competitors’ dry time is between 3-5 days. The most important factor in a whiteboard surface is how well it erases. Will ReMARKable erase clean and wipe off easily without having to scrub? Absolutely, yes! When installed perfectly, you will have a very smooth wipe that erases cleanly. 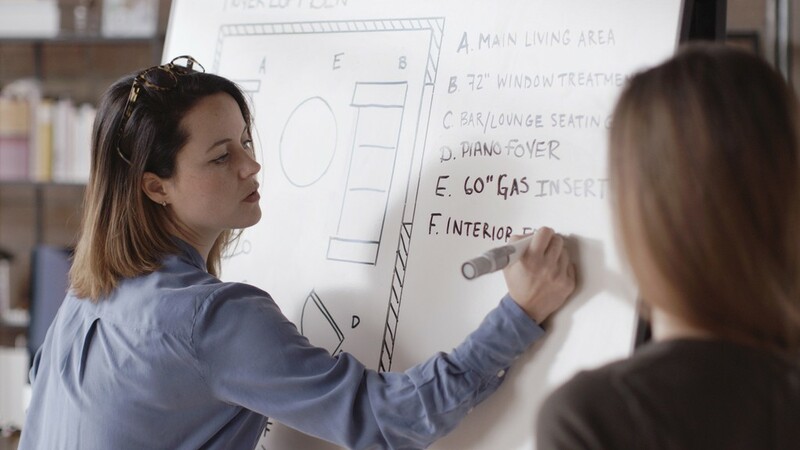 For a traditional white look to your dry erase surface, our white coating could be the perfect match for your project. Whiteboard Paint can be pretty lethal with its horrendous and toxic smell, causing sickness, dizziness and headaches. ReMARKable has removed toxic chemicals and is a low odor coating. We’ve teamed up with eQuil to offer the world’s first Smart Whiteboard Wall. By combining the eQuil Smart Marker technology and ReMARKable dry erase paint, you’ve got the perfect combo for a creative surface that will sync to your favorite apps and broadcast online! Get ReMARKable shipped right to your door. We offer convenient shopping options right here on our website, or if you prefer you can find ReMARKable on Amazon online. Get ReMARKable delivered to you in as little as 1-2 days. For a colored dry erase surface, we have a clear coating option that empowers you to stretch beyond just traditional white for wide open possibilities and creativity for your environment. Whiteboard paint is a 2-part formula mixture that produces a coating that can be challenging to apply. ReMARKable has made a formula that is easy for an inexperienced painter to install. ReMARKable offers a 10 year quality warranty on our product that protects you against cracks and staining. We stand behind our product, knowing its the highest quality dry erase board paint on the market today. We offer 20% off promo codes for orders over $315 plus FREE shipping for orders over $400.00. Free shipping and all other forms of discounts apply to the continental United States only and do not apply to pens, cleaner, base coat, GoodHangups, SmartMarker or Smart Whiteboard Wall Kits. Stay tuned to our email newsletter for promotions and coupon codes to save big with ReMARKable! Our world class customer service team is available to support your whiteboard paint project purchasing decision, and installation process. You can reach us via phone, email, or chat here on the website. What is ReMARKable Dry Erase Paint? ReMARKable is the most affordable, high quality white board paint on the market today. It is not only backed by an industry best 10-year warranty, but it is easy to apply and more affordable than other industrial grade dry erase paint competitors like IdeaPaint. Watch the video to learn more about how ReMARKable dry erase board paint can be used at home, in school, or at the office. Whiteboard paint is actually a coating, that is a 2-part formula mix, that when mixed and applied properly will transform just about any wall or surface into a dry erase board like surface. It is a fantastic alternative to traditional whiteboards, which can be big, bulky, and very expensive. The benefits to going with the coating are blending your dry erase surfaces into your environment, utilizing wall and table or desk space, and affordability for large, expansive dry erase board space. White board paint is also known as dry erase paint, dry erase board paint, and marker board paint (we like to switch it up and use any and all of these terms). How Does Dry Erase Board Paint Work? Mix the two-part formula, and paint your surface by rolling on with a premium grade micro fiber roller for best results. It is a seemingly magic and surprising end result when after applying a whiteboard paint coating, and allowing adequate dry time (48 hours for ReMARKable), that you can take your favorite colored dry erase markers and begin writing on your surface as if it was a traditional whiteboard. The highest quality whiteboard paint, ReMARKable, ensures that there is no staining or yellowing over time, and that the surface wipes clean with ease when erasing rather than having to scrub with a lot of effort to get your dry erase marks to erase. For more information on preparing your surface before application, see our Whiteboard Paint 101 video library. Step 1: Clear or White? Choose between ReMARKable Clear for any color surface or ReMARKable White for a traditional whiteboard surface. Measure the size of your surface or whiteboard wall in square footage. Place an Order, Apply ReMARKable and Enjoy Your New Dry Erase Breakthrough Creativity Space! Creativity boosted across the globe in homes, classrooms, co-working spaces, retail stores, conference rooms and offices! Improve Teamwork, Collaboration and Co-Creating with the magic of remarkable dry erase paint! Unlike nearly every other product on the market, ReMARKable has substantially increased cure times. Most products require a 5-7 day cure process before you can write on it! ReMARKable however, only requires a 48 hour cure time before you can write away! ReMARKable is truly ready to use in hours not days! Start using ReMARKable 48 Hours After Application! ReMARKable is by far and large the easiest product to use! It’s caveman simple! Many other products will have you pulling your hair out! NOT with ReMARKable! Some of our best installs were performed by kids ages 12 & under! Now that’s ReMARKable! Apply ReMARKable with ease! No hassle or headaches! Want to save * 20% & get free shipping on your first whiteboard paint kit order? Idea Paint is a competitive brand name and manufacturer of whiteboard paint. While they were the first company to invest heavily in marketing and advertising a dry erase paint product in the consumer marketplace, they were certainly not the first to invent or develop a dry erase finish coating as they have been known to claim. While Idea Paint does manufacture a quality product, we discovered several flaws and problematic nuisances with their coating. ReMARKable was created as a result of the problems we saw with Idea Paint, Writeyboard, Rustoleum and other competitive whiteboard paint products. ReMARKable is always available at a more cost effective price than Idea Paint. What else makes ReMARKable Dry Erase Coating superior? Through the investment and development of a perfect whiteboard paint formula, that eliminated the usual toxicity, sickening smells, difficult and sticky application, expensive costs, lengthy dry times and overall frustrating consumer experiences, ReMARKable came to life and has been captivating the love and loyalty of customers ever since. Now ReMARKable is in offices, conference rooms, co-working spaces and classrooms at Facebook, Google, Starbucks, Sony, and universities like Princeton, Harvard, Yale, and much more. The top consumer and corporate choice for dry erase paint is clear, and it's ReMARKable. The Writing is On the Wall. ReMARKable Whiteboard Paint Reviews. "As a Lead Painter for 1 of the largest tech companies in the world I can stand behind the ReMarkable dry erase product and their supportive staff. We began using the product on site 3.5 yrs ago. The largest draw to the product was its exceptionally quick dry time, allowing us to only have the surface unusable to the client for 1 business day. On our site we use the clear product allowing our client to choose custom colors as the base. I have used many of the products on the market and have found that ReMarkable is overall an easier product to work with from mixing to application. The final product is a high quality, durable and long lasting dry erase surface our client is Happy with and will continue to use thru out our facility and its rapid growth." "We were in desperate need of additional writing space at the office, so I looked at buying multiple large whiteboards. The cost was ridiculous! It would have cost us over $11,000 to do the area we did with ReMARKable. For less than a $1000 we covered over 600 sq. ft. of wall space. ReMARKable works better than any erasable surface I ever used! I am very satisfied with the results! We have used our ReMARKable walls now over 2 years and it still looks brand new! I would highly recommend ReMARKable to any business owner who uses marker boards regularly, the stuff is awesome!" "Hi, Susan here's the final wall (attached). I've posted it on Facebook and Linkedin. ReMarkable was a great product with great customer service. My wall was textured so it had to be made smooth. I chose to put two skim coats of drywall joint compound on first and sand that to a smooth finish. Then two coats of ReMarkable Base Paint. It worked great. Finally, the ReMarkable coating went on as easy as pie. I must admit I was afraid that the amount of paint in the final coating might not be enough. I was wrong! It was exactly the perfect amount for 35 square feet. I'm talking perfectly enough to cover and cut in any misses on the edges. I can't be happier. Thank you ReMarkable!! Susan, your help and understanding were superb and I truly appreciate it. I couldn't be happier with the outcome using ReMarkable. Best wishes to you and your great company. Merry Christmas, Happy Holidays, and best wishes for an outstanding 2019!!" Purchase ReMARKable Whiteboard Paint Today! Introducing the World's First Smart Board Replacement That Syncs with Your Favorite Apps and Broadcasts Online! Forget those $20,000 smart boards! Now you can have your very own Smart Whiteboard Wall! Imagine being able to sync, save, share, and stream your doodles on your huge ReMARKable whiteboard wall. Sync to your favorite apps like Evernote, Dropbox, Onenote, and more! ReMARKable has a 10-year no crack, no staining quality guarantee and warranty. For details on this guarantee, please visit our terms and conditions here. Where Can I Buy ReMARKable? Where can I find ReMARKable coupons? ReMARKable coupons are available for first time orders right here on the website. Click the coupons button on our top navigation menu to get a first time order discount. Anyone who remain subscribed to our email list after signing up for a coupon or contest, will receive regular updates from us with the latest promotions and coupon codes. Does ReMARKable Clean and Wipe Off Dry Erase Marks Easily? Yes! When applied correctly, ReMARKable is the easiest dry erase paint as far as erasability goes. Erase it with a micro-fiber cloth. To accelerate or enhance the cleaning process, use our ECO-Friendly ReMARKable Cleaner. Spritz a small amount on the area to be cleaned and wipe with a ReMARKable Cleaning Mitt or other micro-fiber cloth. Then wipe with a towel saturated with water to remove any residue. Using a paper towel, dry the surface and you’re ready to write. Unlike most wall coatings, ReMARKable is virtually odorless! ReMARKable is unique in the fact that it has unsurpassed durability, being a true commercial strength product (guaranteed for 10 years! ), yet does not contain harmful odors. Other products have been known to clear out a room or at least give you the worst migraine you’ve ever had. You can rest easy using ReMARKable, no head aches here! When you’re all finished, a soap & water clean up is all you need! Get started with ReMARKable Dry Erase Board Paint. Purchase today! ReMARKable is an amazing value! The average cost of a quality whiteboard per square foot is $14.50! Just imagine having to pay $14.50 x 200 sq. ft.! That’s would cost you nearly $3,000! With ReMARKable you could do 200 sq. ft. wall for less than $600! That’s an 80% savings for a product that works better and last longer! Now that’s ReMARKable! Save on your whiteboard wall project. Purchase today! ReMARKable is the Creativity Boosting Collaboration Solution You've Been Looking For! Need Support or Help Planning Your Whiteboard Wall? Our ReMARKable Customer Service Team is available to help you by phone or chat Monday through Friday 10am-8pm EST. The most competitive pricing industry-wide on premium grade white board paint. for a 35 Square Foot Whiteboard Paint kit. for a 100 Square Foot Smart Whiteboard Wall kit. ReMARKable is excited to announce our September Savings Event kickoff today. Now through Monday, September 17, you can save 27% on all whiteboard paint kits! In addition, if your order is over $400, and you are in the continental USA, you qualify for free shipping. Fall is a great time to freshen up your board room, conference/meeting area, office, classroom, co-working space, or even your kitchen, kids rooms, or office at home! We know that if you can get your team offline for a bit, away from the computers that face to face time together in front of a massive wall sized whiteboard will result in tremendous productivity, creativity, collaboration, brainstorming and performance breakthroughs! Put us to the test – we’d love to hear how this experiment goes for you. Get started with ReMARKable. ReMARKable will transform just about any surface into a dry erase board. It is a beautiful, non-toxic do it yourself whiteboard paint kit that will empower you and your team with a boost in productivity, creativity, collaboration, organization and more. ReMARKable is available in white and clear and in 5 different size kits ranging from 35 to 600 square feet. Save time, money and headaches by choosing the best whiteboard paint on the market… ReMARKable! Get started with ReMARKable. ReMARKable will transform just about any surface into a dry erase board. It is a beautiful, non-toxic do it yourself whiteboard paint kit that will empower you and your team with a boost in productivity, creativity, collaboration, organization and more. ReMARKable is available in white and clear and in 5 different size kits ranging from 35 to 600 square feet. Save time, money and headaches by choosing the best whiteboard paint on the market… ReMARKable! Now you can open up your meetings for more fun, collaboration, creativity and productivity together. Just pickup any 35, 50, 100, 200 or 600 square foot whiteboard kit for your conference rooms, offices, shared spaces or classrooms at a massive 28% savings, and we’ll even ship to you for free on orders over $400! Boosted creativity, collaboration, brainstorming, productivity, effectiveness of meetings and incredible teamwork. It’s probably your dream too. “To put it more simply, organizations are spending nearly three-quarters of a billion dollars per year (emphasis added) trying to improve employee engagement — and that only represents about half of the $1.53 billion that Bersin projects that companies will eventually spend on it.”, states TLNT in its Weekly Wrap: $720 Million Spent on Engagement and This Is All We Get? Now that’s a lot of money. To make things even dizzying is the amount of time spent. Think about your own team. Apart from the amount of money that goes into team building, how much time is spent? Just think about it for a moment. All this goes to prove that if you want a more productive team, a more creative team, or a more effective team, then you need to spend lots of time… and countless hours. But let me stop you there. What if you wanted all these things (creativity, productivity, effectiveness) for your team? Is there any chance you’d be able to, without having to spend so much money? And time? I’m not talking about simple tweaks like solving puzzles and having a scavenger hunt. I’m referring to a single tweak that can significantly boost your team. Even Facebook has seen results with this tweak. I promised to show you the single quickest way to significantly boost your team’s creativity, productivity, and effectiveness in the shortest time possible and at an affordable cost. Facebook is (according to Glassdoor) the best place to work this year. And this isn’t necessarily because they have the best team… or the best tools… and I’m pretty sure it’s not just the food either. Yes, you read it right. No error. They are actually excited to head to the office every day. In fact, according to Business Insider, prototyping engineer Spencer Burns says, “Every Sunday night, I go to bed and sleep great. In other words, Burns doesn’t just work at Facebook for the money. He actually loves his job. So how does Facebook do it? How do they keep their team excited to show up to work each day? What one tweak (you can use) has Facebook implemented to boost team creativity, effectiveness, and productivity? Take a look at the images below to find out. If you can’t see any images, you’ll need to enable them first (Go ahead and enable your images). Surely, you must’ve seen it this time. Here’s a third image if you still didn’t see it, after which I’ll tell you what it is. Facebook is a strong team-oriented company. And if you’re a team-oriented company, you know that your offices and meeting spaces need to foster incredible teamwork and collaboration. Facebook knew that too, so they went on a hunt. They did tons of research. They tried lots of different approaches. Finally, they found it. Facebook discovered what is quite easily the single quickest way to significantly boost team creativity, productivity, and effectiveness. And the interesting part? This tweak is affordable and easy to implement. Facebook saw remarkable results and loved the new discovery. They found that expansive, massive whiteboard on the walls throughout their company allowed their team to experience the benefits of limitless space for creating, working together, and designing ideas, workflows, mindmaps and more without the limitations of small, traditional whiteboard space. Now you see what the images were trying to communicate. Can you get the same results? Absolutely! Facebook is not the only company to tweak their surroundings and experience a more creative (more effective, more productive) team. I’ll show you exactly how to improve your team today. You’re order may qualify for * 20% off plus free shipping coupon on a product that will transform your team from an unbearable hot day kind of team… to a cold drink on a hot day kind of team. But… and this is important… the coupon lasts for only 3 days. So if you’d like to improve team collaboration at the lowest price possible, and without fretting over shipping costs, get ready. Imagine your team, a few weeks from today. It’s another Monday morning. The atmosphere is different. There is a certain excitement in the air. Everyone seems to be busy working. Unlike the past, where teammates only seemed to work, they actually are. People on the team don’t feel like they have to work. They really love to work. Ideas are coming up faster than ever before… and several of them are really good. An idea that used to take days to present itself now takes a few hours. The office feels 2X larger than it used to. Has there been an expansion? No, but it does feel that way… and you’re enjoying every inch… it’s crazy, but it feels like you have limitless space in the office… and everyone is loving it too. Introducing ReMARKable, the whiteboard paint for businesses in the software/tech/web/internet space who are serious about improving teamwork and collaboration in the office and at meetings. When you buy today, you get a whiteboard kit including 2 different liquids that get mixed together right before application. Some kits come with a roller. To be honest with you, the single quickest way to significantly boost your team’s creativity, productivity, and effectiveness, is to tweak your surroundings. Every other option either costs a fortune, or takes a huge amount of time. Sometimes both. After helping Facebook, Google, Sony, and countless other businesses to improve team engagement, we are offering our product to you at an incredible discount for a very short time. P.S. For bigger corporate customers, a customer care specialist is standing by to negotiate bulk pricing and account/project management. ReMARKable is made with the utmost quality & ingredients! ReMARKable is a water borne product that is 100% environmentally responsible! Many other products have terrible odors and high VOC’s, (volatile organic compounds) that are very unhealthy to use and harsh on our environment! With a simple and safe soap & water clean up you can rest assure that you are not harming your body or the environment by using ReMARKable! ReMARKable is an environmentally conscious company. We love our ReMARKable shoppers and customers! We're here to ensure that your whiteboard paint project goes as smoothly as possible. We always encourage people to give us a call, email us or chat with us to talk about your project specifics and to ensure that you have a perfect installation that will give you a perfect ReMARKable surface that looks beautiful and wipes clean with ease.